Bridget Weiss is director of student services for the district. She wants to do a better job identifying all the students who need an extra hand meeting the district’s core curriculum standards. It’s well-known not all children learn in the same way or at the same pace, but it’s not always easy to realize which kids need extra attention. Weiss is excited about a method that tracks kids’ academic progress and shows the district which ones need an intervention. The method is called RTI. She said it stands for Response to Instruction. “In some places, it’s often referred to as Response to Intervention. It is a program based on the philosophy of identifying students’ needs early and attacking those with special interventions outside of the regular core curriculum,” Weiss said. She said the strategy is being used in other schools around the country. 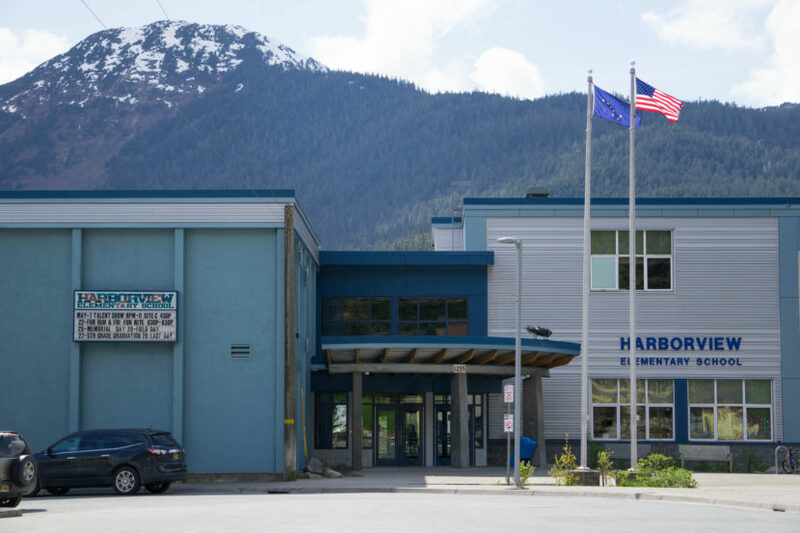 The Juneau School District has used parts of it in a few schools in the past, but now it’s trying to use the strategy district-wide. Weiss said elementary schools used Response to Instruction last year to improve reading skills. “Some schools are saying, ‘Hey, we really want to spend another year just focusing on reading, because we’re close, we’re not quite there, we really want to get expert at this whole RTI process with reading.’ Some schools are saying, ‘We’re chomping at the bit. We really want to get after math,’” Weiss said. Student behavior is also on some schools’ RTI to-do lists. She said it lumps students into tiers according to their performance. Tier 1 is the district’s core instruction that every kid in every classroom is getting. At this level, educators are evaluating how effectively they’re reaching every student in the district. “Which would mean they get some additional time in a small group, adding some instructional methods to what they’re getting in the regular classroom,” Weiss said. She said if a student is “significantly behind,” they’re moved into the Tier 3 category. “Which just means more time. So we increase the amount of time and focus that they’re getting and some of the strategies that we use,” Weiss said. She said one of the most powerful parts of RTI come into play after kids are placed in a tier. They’re monitored for improvement. If a student in Tier 2 is getting additional small group instruction and it’s working, educators might keep giving that student more of the same. “Or is it not working and they need more time, or do they need a different intervention altogether,” Weiss asked. Finally, if students just aren’t showing enough improvement after multiple assessments and interventions, the district will consider the possibility that they’re dealing with a learning disability and move them towards special education. She said because RTI is not just relying on teachers’ thoughts and feelings about their students’ abilities, there’s a better chance of catching kids who might otherwise fall through the cracks. It’s a systematic review of students’ performances over time. Weiss believes RTI can help identify kids’ individual challenges so they can solve them early in their educational careers. Each student’s data is also unique to them, not to the school. So when students change schools, their data travels with them.